Need help submitting a claim? We can help you restore your fire damaged property! Damage from fire and smoke can spread to areas within your house that may not be visible to you. Often smoke and water damage can extend to areas of a fire damaged property where the fire did not even reach. When soot breaks down becomes corrosive and can cause serious damage to electrical appliances. Meaning that it is vital that your fire damaged home is professionally cleaned to prevent further long term damage. We know all the appropriate experts to call on to deal with the issues that arise. 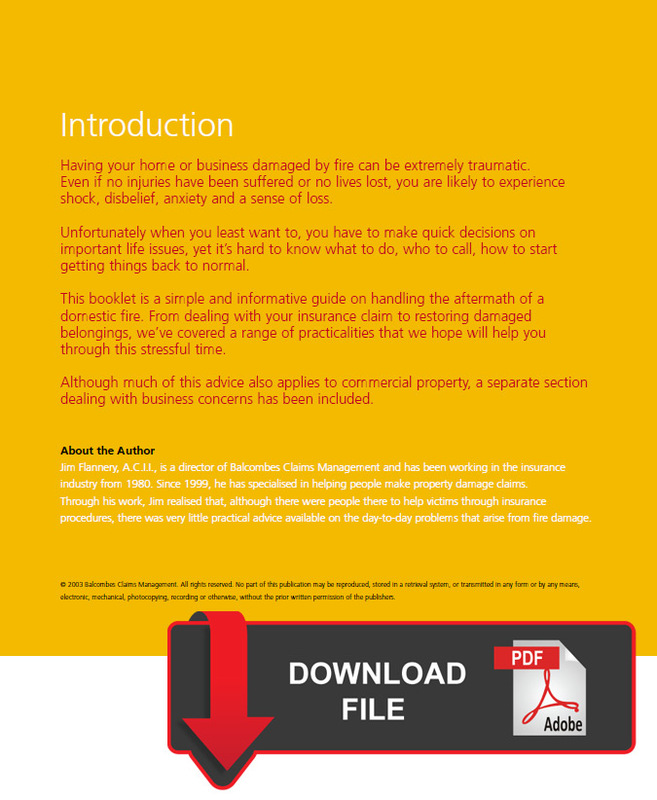 Balcombes have published a guide book ‘In the Event of a Fire; A Guide to Dealing with the Aftermath’. Click on the link to download a pdf copy. Unexpected fire damage to your property can be a very stressful and distressing experience. You can be confused and unsure as to how you should proceed. Insurance companies can often add to that confusion and uncertainty. They almost expect you to know what to do to submit your claim and begin the fire restoration process. When you engage us we will act immediately to start your fire damage claims process. We will assess the fire damage and record all relevant details. 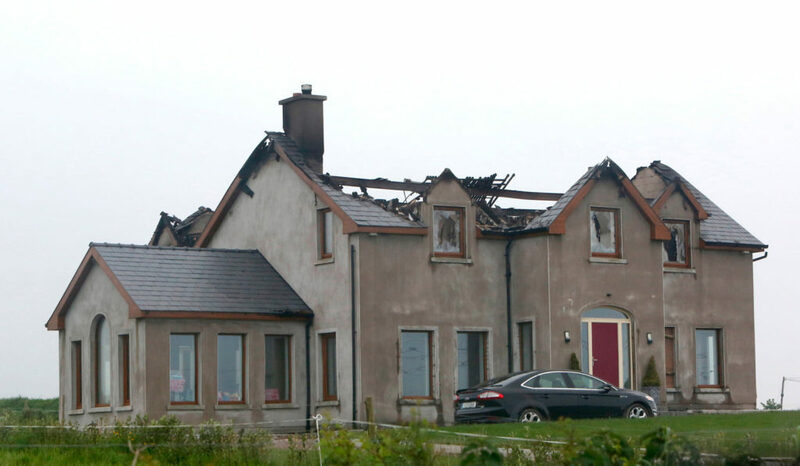 We will give you professional advice in relation to your insurance claim and the support you need to return your fire damaged home or business to normal again. Liaising with insurers to ensure you get the best fire restoration entitlement. You should know that anything you say to the insurance company at this stage may affect your claim. You should not dispose of anything until your fire damaged property has been inspected by a loss adjuster appointed by your insurance company. The onus is on you to prove your loss, and you could prejudice your claim if you dispose of the fire damaged evidence. Your insurance company will employ a Loss Adjuster to ‘adjust’ your claim. They are engaged by your insurance company to settle your fire damage claim as economically as possible. At Balcombes Claims Management we are familiar with the process and what paperwork is required. We can point out any additional benefits or extensions to cover that your policy provides. Ensuring your receive your maximum fire restoration entitlement under the terms of the policy is our No. 1 priority. We will work tirelessly on your behalf. We know what appropriate experts to call on to deal with practical issues. We will endeavour to get you the best fire damage settlement in a timely and efficient manner. This allows you the time to deal with your practical issues of looking after your family or business. As business owners, we too know the importance of your business to you. We are expert in dealing with Business Interruption claims. We can help and advise you on the steps you need to take and can ensure your Gross Profit is protected to enable you to pay your regular overheads until your business can be restored. We can offer you advice on many issues, e.g. protecting your property, alternative accommodation, disposal of damaged goods, salvage values, etc. The speedy submission of fire damage claim documentation, combined with our expert insurance knowledge, will ensure you obtain satisfaction from your insurers. The truth is that without engaging a Loss Assessor to act on your behalf in a fire restoration claim, how can you know what you are entitled to claim for and how to go about it? We offer professional advice to you and there is no obligation following a free initial consultation to assess your loss or fire damage. ‘Contact us’ and one of our experienced Property Claims Consultants will discuss the issues with you to see how we can help you with your fire damage claim.